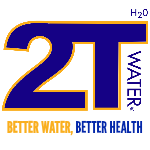 2T Water has now added Good Nutrition™ stores to its distribution roster for Atlanta. There are currently 8 Good Nutrition™ stores located throughout the metro area in Gainesville, John’s Creek, Marietta, Norcross, Roswell, Woodstock, Alpharetta, and including Atlanta. The company continues to establish a solid distribution channel for its exclusive beverage product 2T Biotin Water®. “We are in the process of looking for our new headquarter building in the Atlanta area. As our company continues to grow, we want to have a good foothold in the area and partner with local businesses looking to offer healthier products. Good Nutrition™ will be one of those partners for us. They have built a solid reputation on providing quality nutritional products to the community”, said Eric Wells, CEO, 2T Water. 2T Water currently has over 70 distribution partners in the Atlanta area and expects continuous growth. In just a short time, the company has acquired partners in fitness centers, c-stores, natural grocery, specialty, universities, restaurants, and now nutritional stores. 2T Biotin Water® will be stocked on Good Nutrition™ shelves next week just in time for Summer. It will retail for $2.29 per bottle at each location. Search for Good Nutrition™ locations here on the Store Locator. ATLANTA, GA 3/13/16 – The beverage industry is known to have fierce competition and is forever evolving with new trends. There are growing demands in the industry to innovate and meet consumer interests, from specialty food and beverage products to those considered cleaner or fresher (fewer ingredients, organic, gluten or GMO free, etc.). There is also a demand for alternative food sources, sustainable production, and the need to feed a growing world population. 2T Water’s Founder and CEO, Eric Wells has embraced the challenge and is determined to be the next big brand. He started his company 3 years ago without any prior knowledge of the beverage industry with hopes of creating better low-calorie beverages for his age group. Eric spent 14 years as a National Manager for a Fortune 500 finance company. It was there that he honed his managerial skills and learned good business practices for achieving results. He has applied many of the same business strategies of the corporate world to his company. Eric currently runs all of his business interests under an umbrella company called The 2T Enterprise Inc; which includes 2T Water LLC a new age beverage company committed to introducing premium beverages that are made with the finest quality of water. The company has its own premium bottled spring water and recently launched the first Biotin Water® Hair, Skin, and Nails. With his eyes set on future growth of the brand, the company purchased and received the registered trademark/patent for Biotin Energy Drinks®. 2T Water has been on an aggressive mission to increase distribution in the Georgia area for the last few months. It has added several new outlets ranging from grocery, convenient, spas, schools, and fitness centers. “No one is born a beverage entrepreneur, it’s an industry that attracted me because of the level of sophistication with the distribution networks of major retail corporations. I knew if I was going to start my own business it had to be something very challenging for me. I want my company to play a significant role in today’s health conscious movement. What better way to help change the eating and drinking habits of so many people than to offer a better solution,” said Eric. New beverage brands are launched every day with the hopes of becoming the next big success. Years are spent cultivating business relationships that garner brand support and loyalty. Research shows that it takes the average beverage company any where from 4-8 years to build a solid brand and reach profitability. For most companies, when that point is reached it can lead to enormous success. 2T Water LLC is currently operated out of TX in a small suite located in Irving. Since September 2015 2T Water has also used a remote location in Atlanta, GA to conduct business. The company has developed several partnerships with retailers throughout the Southwest, Southeast, and Midwest to distribute their products. 2T Water LLC is currently looking to sign a new agreement that will provide more operating space within the year. Although still a very young company, Eric and his team are passionate about offering the same services as any other beverage company. “We are still in the early brand building stage, however we focus on giving our retail partners more support than any of our competitors. This is a relationship business first, you are nothing without your customers so their needs are first priority,” continued Eric. 2T Water has seen a 325% increase in sales versus the prior year with the help of their latest product Biotin Water® Hair, Skin, and Nails. The company has 2 additional flavors launching in Spring 2016; Lemon-Ginger and Cucumber-Melon which will debut April 16th-17th at the Alive Expo 2016 in Atlanta, GA.
2T Water, LLC produced the first Biotin Water Hair, Skin, and Nails in June 2014 and it has already gained a strong regional customer base. Since their recent change in market strategy the company continues to gain placements in convenient stores in the Southeast, Midwest, and Southwest. The company has created its own distribution network with Shell stations across their regional focus areas. Now in over 200 locations, they continue to gain authorizations daily. “I study and listen to all the successful beverage companies before us and follow their blueprint. We do not mind taking our time to grow our base regionally. It’s working quite well for us. We have a product that fits the natural segment and the convenient store channels. Most importantly it’s moving off the shelves,” said Eric Wells, CEO, 2T Water. 2T Biotin Water® Hair, Skin and Nails is an all-natural product with Biotin as the key functional ingredient. The biotin infused beverage is seeing many spins from the female consumer who already understands the benefits of Biotin for hair, skin, and nails. “They have really become our ambassadors because that have real examples of how biotin has helped them in the past and currently,” said Eric. The product is now offered in Mango-Peach and Pomegranate flavors. The company has 2 additional flavors scheduled for release at the end of 2015. “We are different in the sense that no other beverage offers the benefits of Biotin in this delivery method. Biotin is also known to give you natural energy because it’s one of the agents that convert food into energy by facilitating the metabolism of fats and carbohydrates into glucose, as well as breaking down proteins into amino acids. It’s loaded with benefits,” continued Eric. The company plans to continue their footprint in the convenience channel due to the lack of variety in healthy beverages.